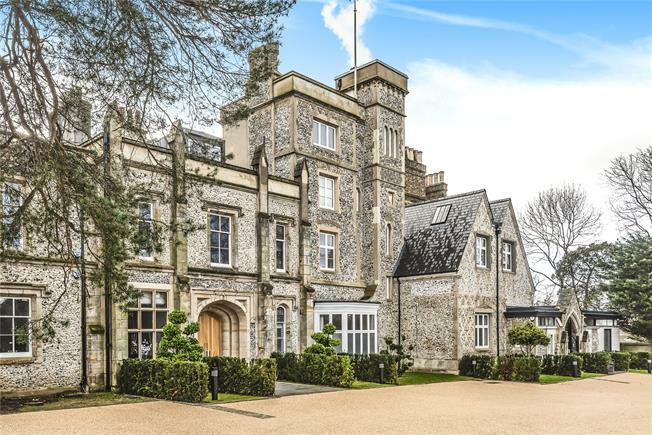 2 Bedroom Flat For Sale in Keston for Offers in the region of £1,300,000. This bright Duplex Apartment 6 occupies a private location on the 1st and 2nd floor of the original house (with north, south, east and west aspects). The home comes with 2.5 bedrooms including a large (almost 600 sq ft.) master bedroom suite. The 0.5 bedroom is an optional children's/grand-children's bedroom and/or study and/or dressing room. It also comes with the added benefit of a roof terrace and generous sun room/dining room. It can be accessed via the original grand staircase of the house and a newly-installed passenger lift.